Your pup's health can depend a lot on the food she eats. This is why it's so important to feed her a well-balanced diet. With so much information out there, knowing what your dog really needs isn't easy. So we've asked our in-house veterinarian, Dr. Leslie, to help us sort it all out. Q: What ingredients should I look for on the label? Dr. Leslie: Ingredients used in pet food can have tremendous variability in quality — one food's chicken is often not another food's chicken. Often, too much importance is given to the ingredient list. What really matters in terms of objective quality on the pet food label is the Nutritional Adequacy Statement (NAS). Q: Why is the NAS, which comes from the Association of American Feed Control Officials, so important? Dr. Leslie: The NAS states whether or not the food meets nutrition standards for a specific life stage, how long it can be fed and whether or not it was also fed to a population of dogs to further demonstrate the food's ability to support health. When looking for a high quality food, not only do pet foods need to deliver the adequate levels of each nutrient, but the body must be able to utilize those nutrients. 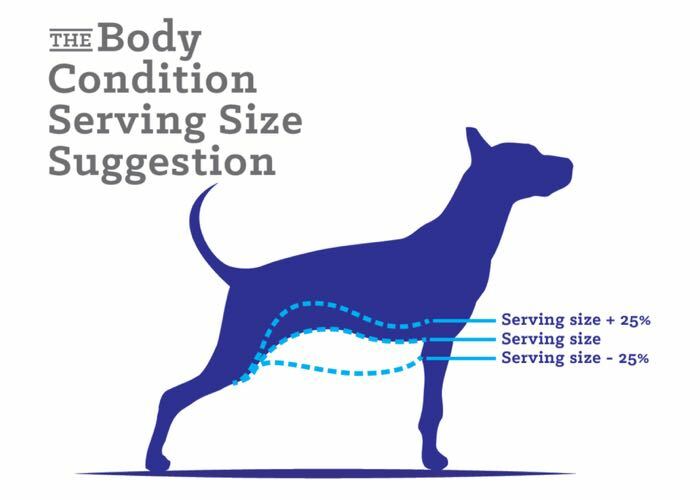 The NAS for food can be substantiated by having passed a feeding trial to understand if dogs demonstrated healthy body systems on a specific diet. Products that did not pass an AAFCO feeding trial or were not formulated to be complete and balanced will state "for intermittent and supplemental feeding only" or will be labeled as treats or snack. Q. How important are the feeding recommendations on the package? Q: How should one handle transitioning a dog to a new food? Dr. Leslie: To avoid any tummy upset, it is best to slowly transition from one food to the next. Some dogs have stomachs of steel and never seem to have any problems with diet transitions, but some dogs need to allow their bodies and the helpful gut bacteria time to adjust to a new food. Each day, increase the amount of new food by 10 to 15 percent, and decrease the amount of old food. If you notice soft stool, flatulence or gurgling belly sounds, hold off on further transitions. If you notice vomiting or diarrhea, stop the diet transition and speak with your veterinarian. Most commonly, dogs will be fully transitioned onto a new diet in seven to 10 days. Q. How can a good quality food improve my dog's health and well-being? Dr. Leslie: Ensuring your pet receives a complete and balanced diet will support normal musculoskeletal growth, skin, nervous system and cardiovascular system, and that will ensure your pet has her best chance for an excellent quality of life. Lots of dogs have different nutritional needs. If you're working on your best friend's figure, try Nature's Recipe® Grain Free Easy to Digest Chicken Sweet Potato & Pumpkin Recipe! Photo Credit: "Gibby's Dinnertime" by scott spaeth via Flickr. License info.